As language cannot describe the severity of the divine vengeance on the reprobate, their pains and torments are figured to us by corporeal things, such as darkness, wailing and gnashing of teeth, inextinguishable fire, the ever-gnawing worm (Matthew 8:12; 22:13; Mark 9:43; Isaiah 66:24). It is certain that by such modes of expression the Holy Spirit designed to impress all our senses with dread, as when it is said, “Tophet is ordained of old; yea, for the king it is prepared: he has made it deep and large; the pile thereof is fire and much wood; the breath of the Lord, like a stream of brimstone, does kindle it” (Isaiah 30:33). As we thus require to be assisted to conceive the miserable doom of the reprobate, so the consideration on which we ought chiefly to dwell is the fearful consequence of being estranged from all fellowship with God, and not only so, but of feeling that His majesty is adverse to us, while we cannot possibly escape from it. For, first, His indignation is like a raging fire, by whose touch all things are devoured and annihilated. Next, all the creatures are the instruments of His judgment, so that those to whom the Lord will thus publicly manifest His anger will feel that Heaven, and Earth, and sea, all beings, animate and inanimate, are, as it were, inflamed with dire indignation against them, and armed for their destruction. Wherefore, the Apostle made no trivial declaration, when he said that unbelievers shall be “punished with everlasting destruction from the presence of the Lord, and from the glory of His power” (2 Thessalonians 1:9). And whenever the prophets strike terror by means of corporeal figures, although in respect of our dull understanding there is no extravagance in their language, yet they give preludes of the future judgment in the sun and the moon, and the whole fabric of the world. Hence unhappy consciences find no rest, but are vexed and driven about by a dire whirlwind, feeling as if torn by an angry God, pierced through with deadly darts, terrified by His thunderbolts and crushed by the weight of His hand; so that it were easier to plunge into abysses and whirlpools than endure these terrors for a moment. How fearful, then, must it be to be thus beset throughout eternity! On this subject there is a memorable passage in the ninetieth Psalm: Although God by a mere look scatters all mortals, and brings them to nought, yet as His worshippers are more timid in this world, He urges them the more, that He may stimulate them, while burdened with the cross to press onward until He himself shall be all in all. UPDATE – 12/21/16 – Flattering as it is that this article is quoted in Robert Wild’s Catholic Reading Guide to Conditional Immortality, I would like to say that I emphatically reject the doctrine of annihilationism and conditional immortality, and I argue against it in the first chapter of my book The Gospel of Jesus Christ. But it seems that Calvin said something that looks questionably conditionalist: “For, first, His indignation is like a raging fire, by whose touch all things are devoured and annihilated.” If this is what he means: that there is no eternal conscious punishment of the impenitent and unbelieving in the lake of fire; and if Calvin in any way means that the fire of Hell incinerates the damned in such a way that they turn into ashes and cease to exist, then I would emphatically reject any such idea. 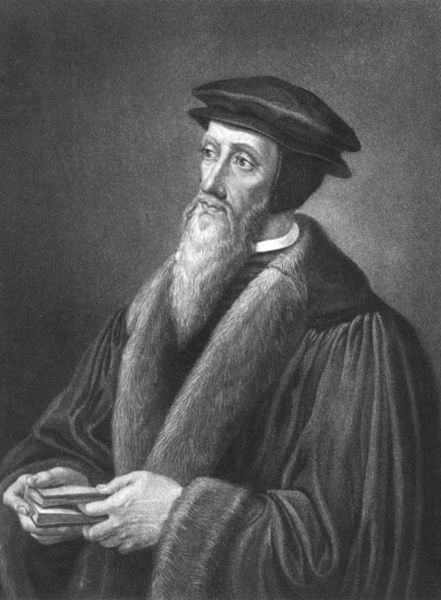 I am not a Calvin scholar, but I’m inclined to think that he did not believe in that. I’ll leave it to Calvinist theologians to defend their hero. But the Bible, and solid Biblical proof texts, is what I rely on for the doctrine of eternal punishment.